This weekend President Trump made his boldest statement yet in defense of imprisoned American Pastor Andrew Brunson. 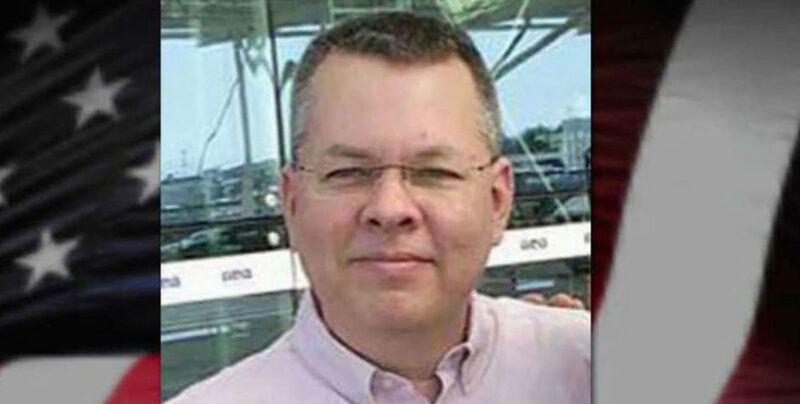 We have Pastor [Andrew] Brunson, a wonderful Christian pastor, and he’s right now in Turkey. He’s been there a long time. And they say he’s a spy, but he’s not a spy . . . Pastor Brunson — I hope you can hear us — we’ll be helping you at some point. We’ve been working on it for a while. He’s been there a long time, and he’s a totally innocent man. We’ve told you how Pastor Andrew’s trial has been a sham. Grueling long days separated by unjustified delays, and filled with “secret witness” testimony, most of whom admitted they had never even met Pastor Andrew. The head Turkish judge has essentially said that he will bar any witnesses for Pastor Andrew’s defense, stating anyone who was a suspect could not give testimony. We’re going to all work, and we’ve been working for his release. He’s having a hard time. There’s a trial going on, but the trial is not so much of a trial. And we’re talking to the folks in Turkey about doing something about it. We are thankful for the President’s strong statements and commitment to continue working for this wrongfully imprisoned U.S. pastor’s release. It’s time for the leaders of the world to stand with the United States and demand Turkey stop the political gameplay and release imprisoned American Pastor Andrew Brunson. It is time for this façade of justice to come to an end and for Pastor Andrew to come home. We’ve said it before – Pastor Andrew is a hostage in Turkey and they’re using him as a political bargaining chip. Turkey’s President has repeatedly implied he would consider exchanging Pastor Andrew for an exiled Turkish cleric living here in America. But unlike our supposed NATO ally, the United States does not play political games with innocent lives. We’ve just delivered a critical legal submission to the U.N. Human Rights Council on behalf of Pastor Andrew. And as we recently reported the U.N. Working Group on Arbitrary Detention has agreed to take on his case. If they find that Pastor Andrew’s human rights have been violated, it could massively increase international pressure on Turkey and ultimately result in tough sanctions if he is not released. This injustice cannot be tolerated by any nation. It is time for the whole world to follow President Trump’s example and intervene on Pastor Andrew’s behalf. His next trial date is not until July 18th, but we can’t wait until then. We need YOU. Take action now by adding your name to the list of over a half-million supporters who demand his freedom.